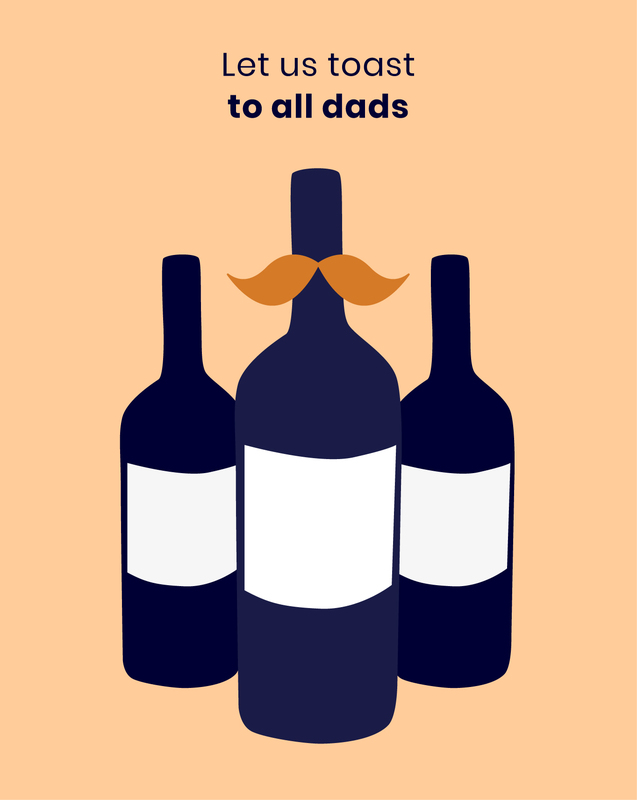 Home › wikiVINHA › News › Let us toast to all dads! Let us toast to all dads! Tomorrow we celebrate Father’s Day, dedicated to the men that would do anything for us. These men deserve the world, so we ought to spare them some of our time. If you still don’t know what to gift your father, don’t worry because we have some tips for you. Since not all fathers are the same, and each one has their own unique quality, we’ll share with you a few suggestions of what works best with each type of dad! A wine for every father! For the loving father … a Rosé! With the delicate nature of white wine and some characteristics of red wine, rosé delights us with the subtlety of a very sweet taste! For those parents who proudly exalt the deeds of their children, who do not give up a good dose of pampering and always blush with their kids’ mischievous stories, we advise a rosé wine! For the stress-free and easy-going father … a White Wine! The white wines are light, soft and refreshing! They go well with that relaxed dad who has a lot of patience to listen to us, who forgives us when we get home after curfew and that encourages us to make incredible memories. For the father who is the soul of the party … a Sparkling! Now for those parents that crash on the dance floor, that have a contagious laugh, that manages to get everyone – even the most shy – to spin without inhibitions and whose motto of the day to day is to enjoy life to the fullest … we recommend a sparkling wine, because nothing fits better with a festive personality! For the wise father … a Porto! Of the many qualities that parents have, the one they most like to highlight is the fact that they can and do pass on their wisdom. Wisdom that has been refined over the years … much like our Porto Wine! For the classic father … a Red Wine! For the more traditional father, strong and authoritarian figure that emanates an unquestionable character and conveys confidence, we advise a red wine. Red wines are prized by most of the wine lovers and pleases everyone. You can’t really miss it. To the charming father … a Spirits drink! For the father with a more refined taste, any of the options of spirits fits well. From the gin to the whiskey, by only needing to pick accordingly regarding the occasion in which he wishes to savour.